The RocketRAID 2720SGL has two standardized SFF-8087 ports that are fully compatible with 3TB hard disks, and can support SAS and SATA devices in non -RAID JBOD’s, single disks, and RAID arrays 0, 1, 5, 6, 10 and 50. I installed my RocketRAID 2720SGL SAS Card in Slot-6 in my Asus Rampage IV Extreme. Then I connected my SAS cables to all of my SSD and HDD for Mac and Windows. I then booted my system and went into the SAS Cards BIOS and configured it as I needed it setting up a Raid 0 configuration for my Windows Programs Drive. Then I noticed that the card shipped with BIOS 1.0 which does not support SAS or SATA III. 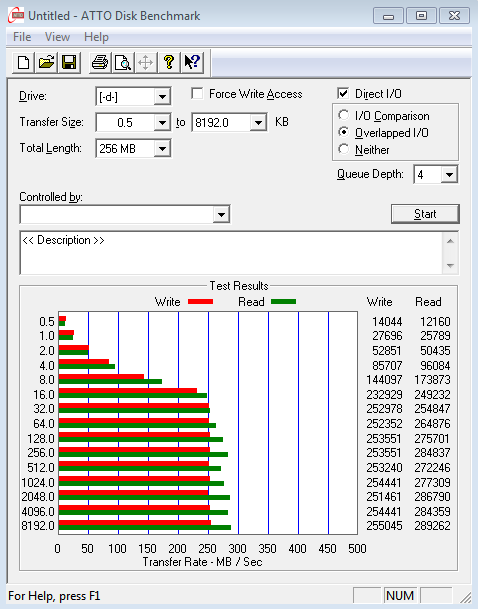 I used my DOS bootable USB drive to flash the card with the latest ROM which enabled SAS and SATA III on the card. You might need to extract a DSDT from the system and have me edit it. That board is very picky. Yes but you will also have to edit the kext as well to get the info to cosmetically change. Nothing I can do about the SMART readings however. Running on it right now. No issues. Hi rempagrdev. I have a same card, but stuck at booting the system with this card. “Still waiting for the root device” prevents the booting process. If I boot the system with normal ACHI HDD, it works as normal drive. Any suggestion? Many thanks to you. I’m running mavericks. Great guide – wondering if you had any insight based on your rocketraid installation. Trying to get a a RocketRaid 4460 (using to run 24-drives) to show an array on a new Mavericks installation. Everything’s good in the BIOS, I can create various arrays, etc, but none of them show up in Disk Utility. I’ve tried every HighpointIOP and RR kext I can get my hands on, but none seem to do it. 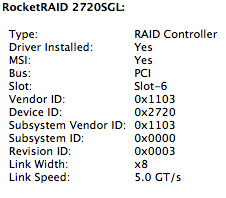 First time setting up this RAID controller. Are you using the drivers that came in 10.9? The card shows up as Parallel SCSI and running the latest firmware on it. Side note – RR is in a PCIe-expander. Do you still feel this is the best choice for SAS? Did you consider going with one of the older Dell Perc series? Perc 5, Perc 6, Perc H700, etc. Support wouldn’t be native then. Also, with a “hardware-assisted” card do you think this is also still a good choice if you want RAID 5 or 6? For the price point yes. I actually want to sell mine so I can get a different one for testing. That worked! Thanks. I assume it’ll wake up correctly after sleep now. No. Read the spec of the card. No sleep. Yet, I had had it working on ML sleeping without issues before I upgraded to Maverick. hmm. Never worked for me as per spec. 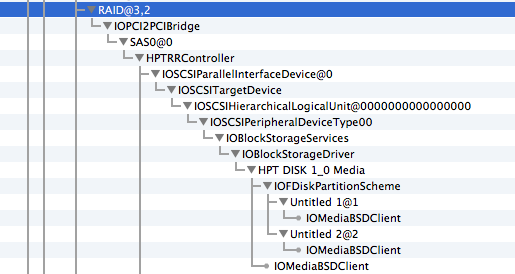 hy, have you an email to ask you a question about SAS Controller Card Driver for mac? Hi – just thought I’d drop a note on here, as I found it useful when doing my own investigations into using the RR2720 in a hack – thanks to everyone who post their findings, thats how progress is made. 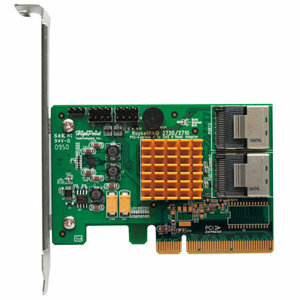 I put one of these cards in a vanilla mockintosh build, straight out of TonyMac (GA-H87 MB, Intel CPU Chameleon boot, Mavericks 10.9 etc etc etc) in a U-NAS 8-bay enclosure to act as an iTunes server, hence the desire for this card. I set up various combinations of cardware-based RAID0, 1, 5, RAIDZ on ZFS, OSX RAID0 and 1, and just plain JBODs – every time under heavy load (an rSync of media files from single disk to array) it would crap out and fail a drive or two. Tried WD Reds, Greens, Sammys, Seagates. Random fails. Annoying beeps. I then tried flashing the card BIOS with various versions, eventually settling on RR272x_1x-BIOS-v1.2-110126 from http://www.highpoint-tech.com/BIOS_Driver/rr272x_1x/BIOS/QuickBIOS/ – took me some finding – and now although the cardware RAID no longer works (no BIOS load, no drives show up in web GUI), it seems to be passing the load test at the moment (fingers crossed). 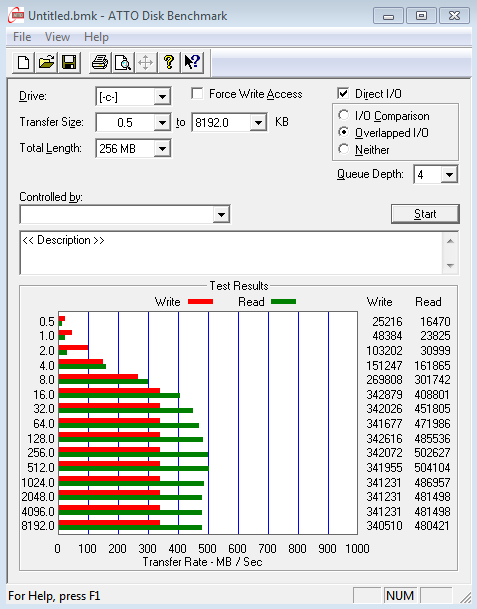 Think there is some incompatibility with the RAID BIOS and something in my system, but as I intend to use ZFS long-term, I don’t care – I don’t need the cardware RAID. Maybe this might help someone else, maybe its just to make me feel better after hours of experimentation… who knows – I might even get round to blogging about it myself….